West Bokaro, August 30, 2018: Commemorating National Sports Day and 159th birth anniversary of Sir Dorabji Tata, an inter-feeder centre archery championship 2018 was organized by Tata Steel West Bokaro Division at Sports Complex, West Bokaro on Wednesday. The championship was inaugurated by Mr Sahabji Kuchroo, Chief Operations, Tata Steel (West Bokaro) in the presence of Mr Mohan Mahto, President, Rastriya Colliery Mazdoor Sangh, Ms Purnima Mahto, Dronacharya awardee and Coach, Tata Archery Academy, Mr B V Sudhir Kumar, Chief, Coal Beneficiation, Tata Steel (West Bokaro) and Ms Kiran Yadav, Principal, Tata DAV Public School, Ghatotand. 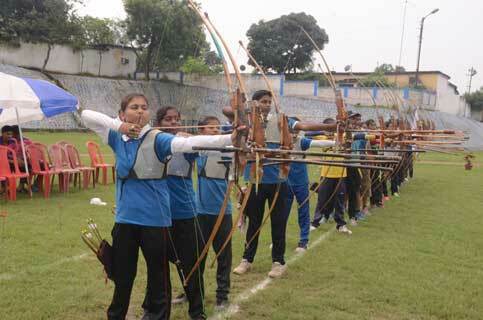 27 archers from feeder centres of West Bokaro and Jharia participated in this day-long sporting extravaganza. West Bokaro Feeder Centre was declared the champion, while Jharia Feeder Centre acquired the runner-up position. The winners of various competitions were awarded by the dignitaries during the closing ceremony. 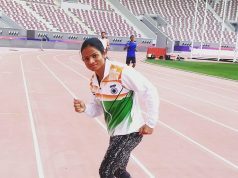 “Major Dhyan Cand used to go to work at day time and practiced at night. This kind of dedication makes a star”, added Mr Kuchroo. 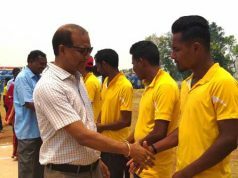 The championship was organised by Sports Department led by Mr Kumar Vikram, Head, Administration, Tata Steel (West Bokaro). Among others present on the occasion were senior officials of Tata Steel and Union officials.